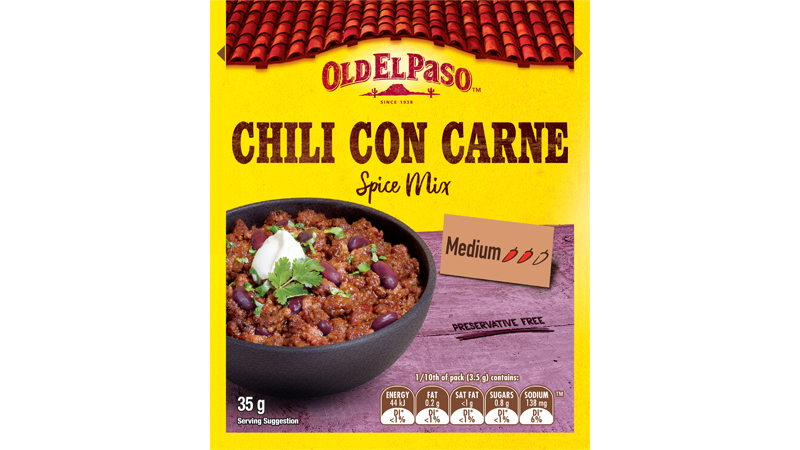 Add fresh mince beef, onion, red capsicum, cinnamon, cherry tomatoes, Old El Paso™ chilli spice mix and black means for a quick and easy chili con carne! Heat the oil in a large saucepan. Add the onion and red capsicum, cook for 3 minutes over medium heat until softened. Add half the beef and cook for 5 minutes, stirring with a wooden spoon to break up any lumps. Remove cooked beef into a bowl. Add remaining beef and cook for a further 5 minutes. Return all beef to the bowl. Add Chili Spice Mix, cinnamon, bay leaves and stir for 1 minute. 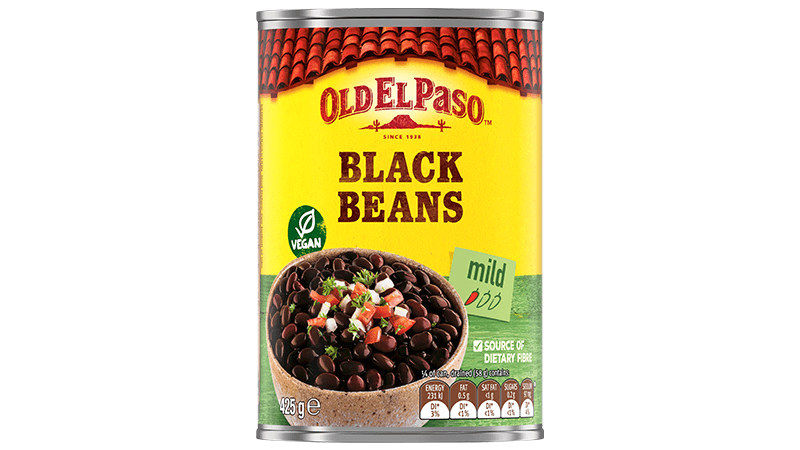 Add cherry tomatoes, black beans and 2/3 cup water and simmer for 10 minutes, or until sauce thickens. For crunchy taco shells and warm tortillas follow pack directions. 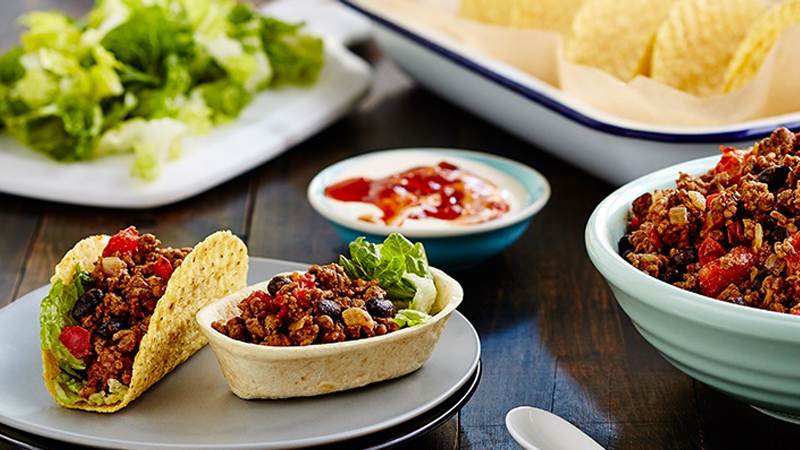 Build your own mini tacos and tortillas with lettuce, chili con carne. 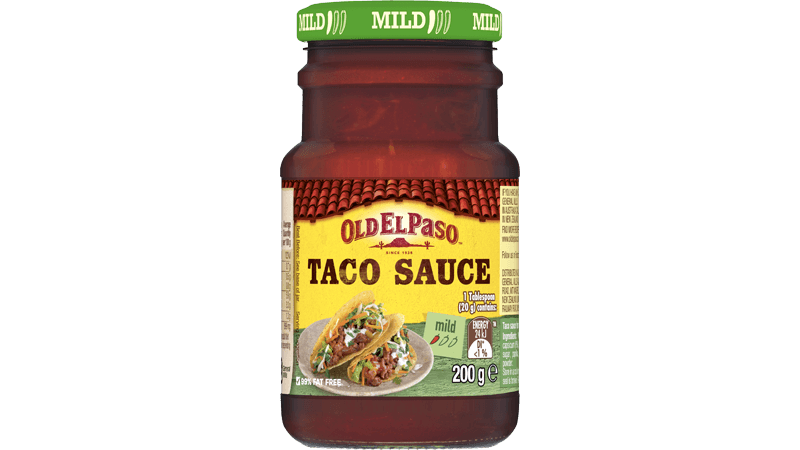 Swirl the sour cream and Mild Taco Sauce together in a bowl and let your guest’s dollop on top.